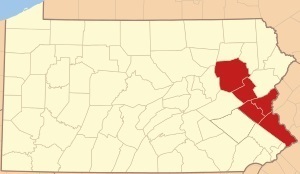 The Delaware & Lehigh five county region of Northeastern Pennsylvania developed in the late 18th Century as a result of the anthracite mines, the iron and steel industries, and the canals built to reach Philadelphia . Land People and History the Lenape of the Delaware Valley hunted deer, grew grains and vegetables, and caught seafood along the coast. The Lehigh Valley was of great importance because it was one of their main east-west pathways, intersecting with major north-south aboriginal trails in the Delaware Valley. Despite its prominence as a crossroads, the Great Valley was the site of few permanent villages, although they often camped at the confluence of the Lehigh and Delaware rivers in what is now Easton. The first Europeans in the Lehigh Valley were Scots-Irish who followed the Saucon and Indian creeks and established settlements in today’s Northampton County. Large numbers of Germans came into the Lehigh Valley in the 1730s. Among them were the Schwenkfelders from Saxony and Mennonites, known for their skills as craftsmen and millers, and for establishing schools. Most of the Germans became known as Pennsylvania Dutch and grew maize, squash, wheat and livestock. At least 50 different nations and ethnic groups have been identified among the immigrants of the 1800s; many arrived at Ellis Island and traveled straight to the Lehigh Valley. 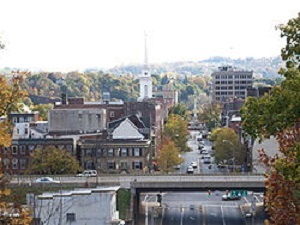 Allentown, Bethlehem and Easton thrived by the late 19th Century. The Delaware and Lehigh Valleys played a major role during the American Revolution. George Washington’s crossed the Delaware River in 1776, the second reading of Declaration of Independence was held in Easton and the Liberty Bell was hidden from the British here. 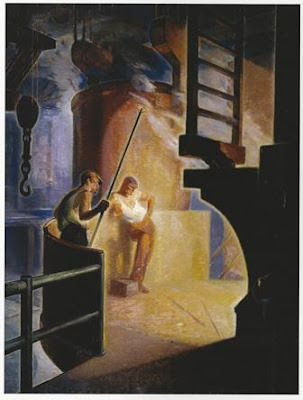 The Discovery of Anthracite in 1791, Carbon County set the stage for America’s Industrial Revolution, the founding of small towns, the birth of industrial powerhouses such as Bethlehem Steel and the development of the Lehigh and Delaware Canals. Also known as stone coal because of its rock-like hardness, it appeared atop hills and under valleys in seams or veins up to 12 feet thick. Industries involving iron, steel, Portland cement and zinc processing flourished, followed by tanneries, silk and textile mills. These raw materials led to commercial, transportation and cultural opportunities along a 165-mile route through the Wyoming, Lehigh and Delaware Valleys. Transportation and Communications the Lehigh River carved a trail that would eventually become the backbone of future transportation routes. Footpaths along the river banks gave way to canals, then to railroads, and finally to modern-day highways. Nowhere is this more apparent than at Lehigh Gap, a dramatic landscape where the Lehigh River breaks through Blue Mountain, also known as Kittatiny Ridge, the final ridge in the Appalachian chain. 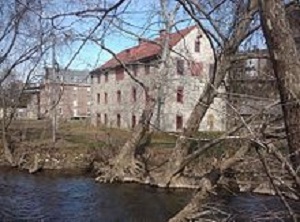 The Delaware Canal was built during the early 19th Century from Easton to Bristol on the Delaware River fostering development of textile mills such as the Grundy complex, steel mills like the Fairless Works and planned suburban community like Levittown. Completion of the Lehigh Canal further accelerated development of the Valley. The 1862 floods destroyed all the dams, locks and canal boats and coal shipping shifted to railroads. The Lehigh Valley Railroad, which ran through Easton and on to New York City, was the first rail line to have a significant impact. 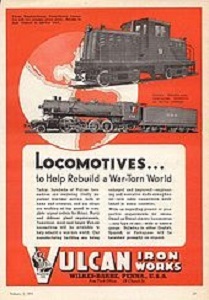 The Lehigh & Susquehanna Railroad and Reading & Pennsylvania Railroad created competition for shipping coal and other goods. 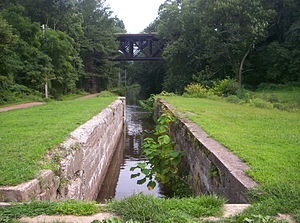 The Delaware Canal was a transport link with limited industrial impact on the rural, farm region it flowed through. Culture and The Environment in more recent times, the region has been in the forefront of land conservation, historic preservation and an arts movement that celebrates land and landscapes. The local culture draws from the Moravian settlements experience in which all men were equal, hence a unique and broad cultural environment in which music, art, education and religious tolerance flourished, as shown in the communal dwellings, churches and industrial structures in Bethlehem and Nazareth.